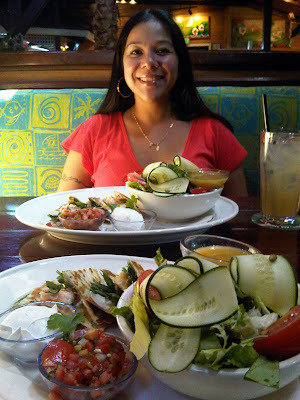 My friend Dolly and I met for lunch at Bahama Breeze today. We had lots of girl talk to catch up on since the last time we saw each other was ... last year? She's doing very well in grad school, things have never been better at her workplace, and her and her husband are expecting their first child (a boy) mid-January. Dolly is an avid runner and ran several marathons including Boston's so naturally our conversation included our endurance sports while we ate lobster and shrimp quesadillas. She is very familiar with the Horizon Ridge, a slope she ran many a times. Out of curiosity I went to MapMyRide to look a the elevation and percentage of slopes (I think she would enjoy this as much as I since we both like to analyze numbers). 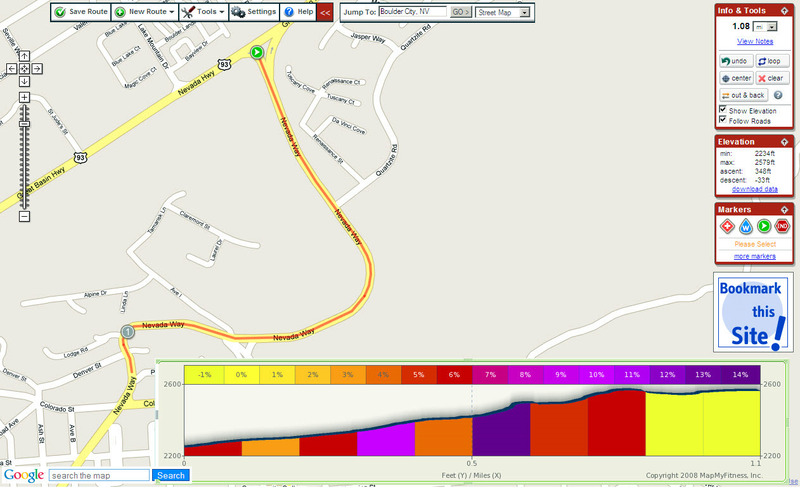 This was the dreaded hill when I first started riding and could only go up halfway in my first attempt. On weekday rides we would only ride up to the point where Horizon Ridge meets Horizon Drive and turn back down the hill. On weekend rides, we would ride up further and make a left on Mission Drive. Next time, I will try to go all the way up to East Paradise Hills Drive! 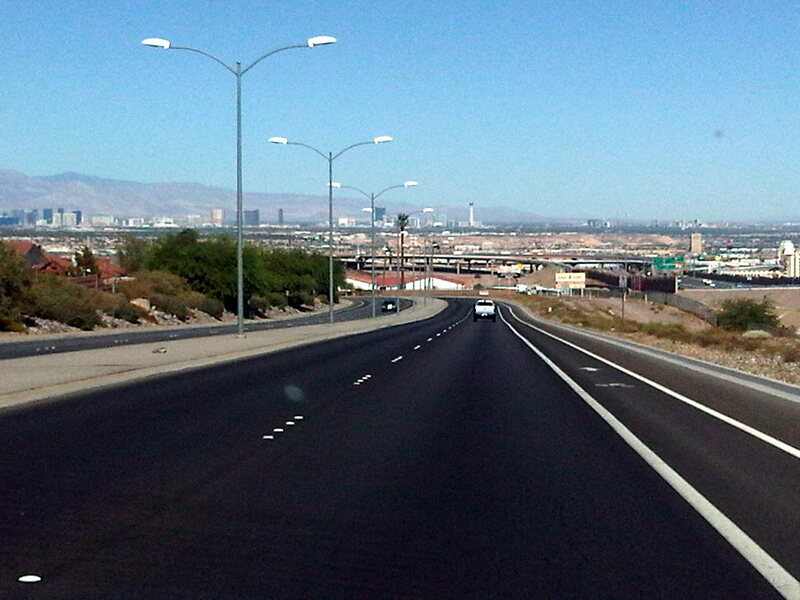 Horizon Ridge is the hill where I like to take a photo of the Las Vegas Strip. Dolly was trying to follow the route I did this past Sunday with Team Fluid to the point where I met my new hill from hell known as "Little Italy". 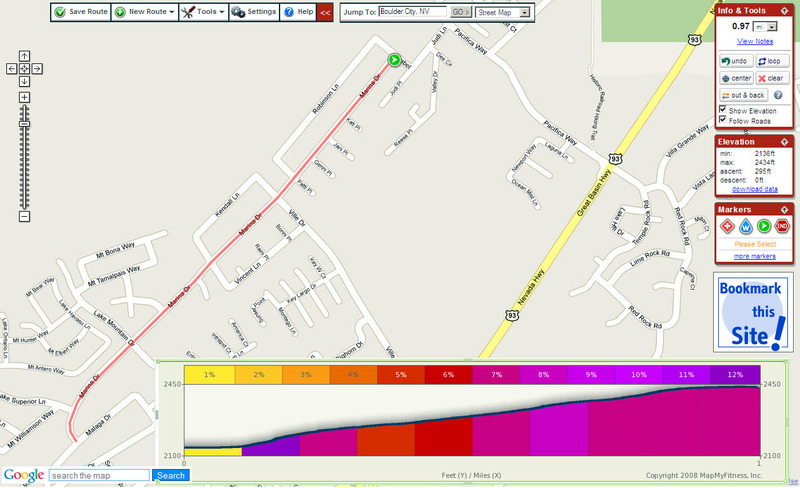 It is a mile long stretch climb of almost 300 feet marked by the red line on the map below. It felt like the longest mile I have ever ridden. 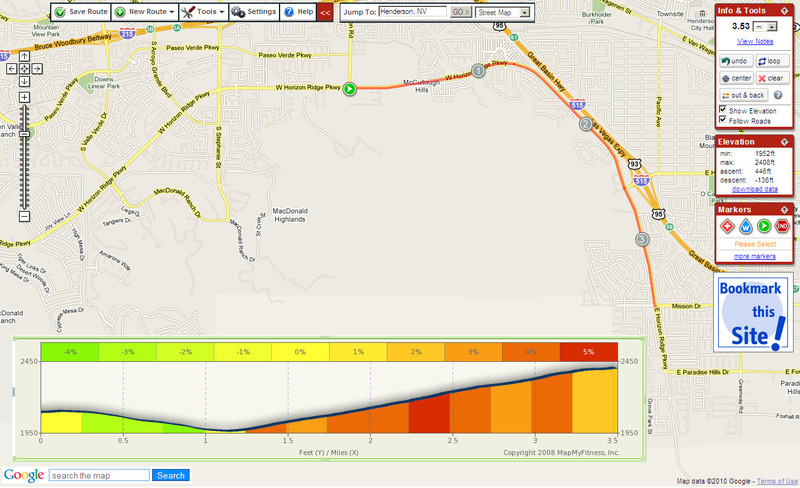 The grade on Marina Drive is steeper than Horizon Ridge to give a perspective on the level of difficulty for me. Then after we left the little green gas station, we crossed the highway and rode up Nevada Way, the scenic route overlooking Lake Mead and the homes nearby. After Marina Drive, this hill didn't seem so bad. I was so sore after we got back from the ride but by the end of Monday I was ready to hit the road again. I am actually looking forward to trying these hills again!